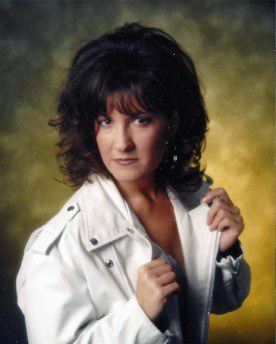 Sandra Lee Scheid (Uhrey), 54, passed away on Sunday, April 7, 2019 of complications related to diabetes. She was born in Mountain View, California on August 5, 1964, to Robert Lee Uhrey and Donna Lou Longfellow. She graduated from Ben Lomond High School in 1982 and attended Weber State University. Sandra was a creative genius and was happiest when she was sharing her talents as the resident party queen. Each party planned by Sandra promised to be an event like no other. Every detail was meticulously planned; including décor, food, games and costumes. These events brought joy and made lifetime memories for all in attendance. She had an artistic eye and created tiny kingdoms, villages, and even the entire North Pole using her treasured Department 56 pieces. Their intricacy and detail was beyond measure, and would put any department store window to shame. One could, and would, sit and look at these scenes for hours and still not see it all. Sandra worked for the Internal Revenue Service for many years and made lifelong friends there. She moved on to Hill Air Force Base and worked in the Mature and Proven Aircraft Directorate for several more years before her retirement. Sandra was married to Scott Scheid. They resided in Minneapolis, MN and eventually moved to Ogden Utah. They were later divorced but were the proud parents of two beloved cats, Nerdy Cat and Maggie. She was a member of the Church of Jesus Christ of Latter Day Saints. Sandra was a friend to all. Her humor and wit was unmatched and her love of celebrating Halloween was like no other. Sandra never had children of her own but she dearly loved her nieces and nephews and was compassionate and generous to all. Sandra is survived by her siblings: Vikki Watts, Marc (Lanae) Uhrey, Debbie (Bob) Tolton, David Uhrey, and Susan (Dennis) Poulsen. She is also survived by many nieces and nephews who loved her dearly. She was preceded in death by both parents. Sandra, you will be sorely missed and forever in our hearts. Funeral services will be held on Saturday, April 13, 2019 at 11:00 a.m. with a viewing from 10:00 a.m. to 10:45 a.m., at Leavitt’s Mortuary & Aultorest Memorial Park at 836 36th Street, Ogden, Utah 84403.